India’s many millions of bicycle and rickshaw vendors embody the entrepreneurship, sustainable mobility, social innovation, and thriving local economies, that a sustainable city needs. As an ecosystem, they’re also part of the metabolism that makes a city smart. That said, cycle commerce is a challenge for a city’s managers. Many different actors are involved in bicycle commerce – often with differing or downright conflicting agendas. Managing this kind of urban constellation is hard. In Europe, the official focus is more tightly on couriers and freight. 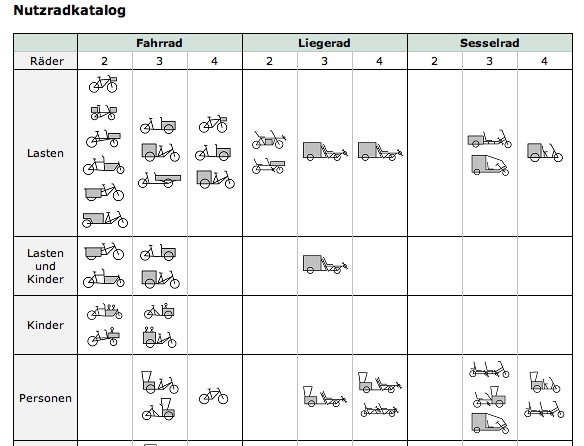 As Kris de Decker points out in an excellent survey, cargo cycles are fast, efficient, clean and quiet. The European Union, which is funding the 12-country Cyclelogistics consortium, calculates that 50% of all parcels delivered in its cities could be delivered by cargo bike. That’s a huge market, and interest among municipal authorities, and the mainstream freight industry, is growing. (See also Tod Litman’s report Evaluating Non-Motorized Transportation). But turning opportunity into action is proving slow. Even the smartest cities can be slow learners. In India, one reason institutional support is sluggish is that bicycle vendors are perceived to be an inconvenience rather than social and ecological assets. Municipal authorities are also under pressure to eliminate street vendors in the name of modernisation – prompted, behind-the-scenes, by property developers and formal economy retailers. In Europe, a lack off technical information seems to be more of an obstacle. Transport for London found that “a reluctance to use cycle freight is due more to a lack of information on the vehicles and options now available, rather than entrenched attitudes against cycle power as such”. On Friday (February 8) a Doors of Perception workshop in Delhi on Cycle Commerce, which is part of this year’s UnBox Festival, will look for ways to remove these obstacles. 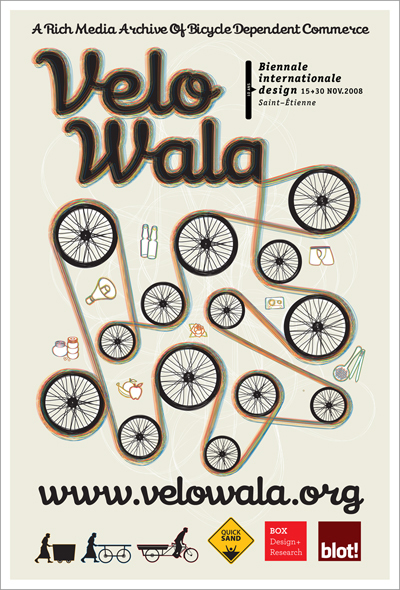 The event builds on the momentum of an earlier project, Velowala.org. 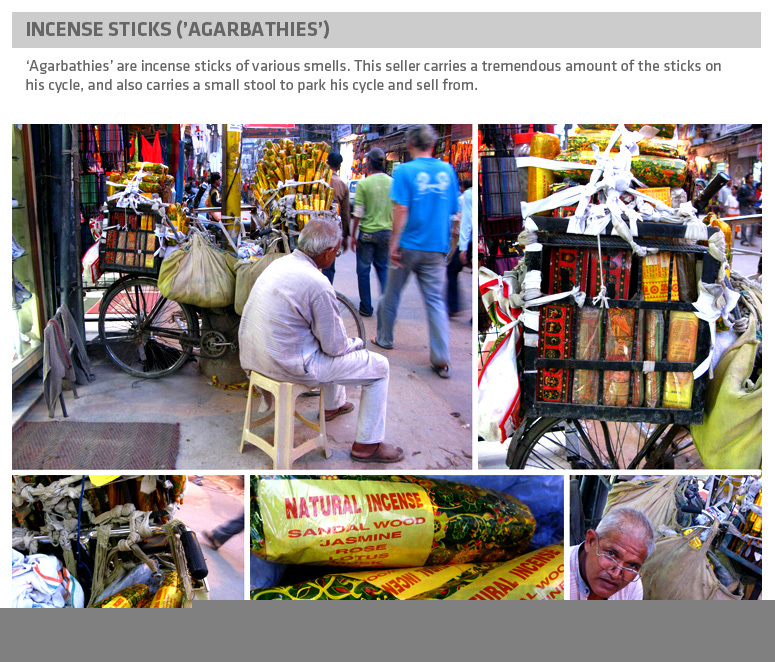 In 2008, when this writer was commissioner of the main French design biennial, Cité du Design, we asked Avinash Kumar (who is also an organiser of UnBox) for a proposal on “how to communicate, to an audience of 90,000 people, the variety and vitality of people selling things from bicycles in Delhi”. The objective, we explained then, was to “sensitize the design crowd in Europe to the fact that bike-based commerce is neither backward, nor predictable”. In response to that invitation four Delhi design teams – Quicksand, BLOT, Codesign, and BOX – created an installation in France that was accompanied by a rich media archive, Velowala.org, that is still online (an example is below). The workshop this week at UnBox has three priorities. The first is to remind ourselves of the amazing environmental and social gains that follow when services are cycle -based rather than depending on motorised vehicles and costly buildings. Our second objective is to map the cycle commerce ecosystem of our host city, Delhi. Which actors and stakeholders need to be involved if bicycle commerce is to flourish? Our third objective is about future action: what designable actions could enable such an ecosystem to flourish? Do we need an online catalogue of products and business models to aid decision support? Is micro-finance for independent vendors a priority? Are new forms of governance needed if the diverse actors involved are to collaborate? The workshop will explore these opportunities with a steady eye on future action. It’s not just about awareness raising – we want to begin changing things for the better. We are organising the workshop jointly with Arjun Mehta. Arjun founded Shuruat, a social design lab, in 2011. Shuruat, in collaboration with Ratna Nidhi Charitable Trust, is launching an ecosystem that enables low-income, physically challenged individuals to gain mobility and financial security by running street-vending businesses on tricycles. The key components of this ecosystem include: (a) hand-powered tricycles with add-on modules that allow users to run various types of mobile businesses; (b) street-business training courses; and (c) micro-credit systems. [I plan to be in-and-around the UnBox festival site from Thursday to Sunday. On Saturday, at 4pm, I’m doing a set-piece lecture with the title Living Systems: Next Economy]. This entry was posted in mobility & design. Bookmark the permalink. Post a comment or leave a trackback: Trackback URL.